Various marketing software companies (that also act as industry thought leaders) provide a handy and comprehensive resource for staying on top of all the things you need to know. They offer certifications that cover a wide variety of digital marketing topics. Best of all, most of them are free, requiring only an investment of time. And because marketing knowledge is ever-changing, successfully completed certifications have an expiration date, at which point a marketer must revisit them to keep up his or her knowledge. Here are the top marketing certifications worth your time. Google’s AdWords certification is taken by individuals who want to be certified as proficient users of the product. Thus, the Adwords certification is designed to test knowledge of online advertising best practices as well as AdWords, itself. Though it is not required to have hands-on experience with Google AdWords, it will be an advantage when completing coursework and the eventual certification exam. As is also the case with the Google Analytics certification, there are comprehensive study materials Google provides for your review. The exam is free, and it can be retaken again in 7 days in case of failure. Another certification offered by Google is certification for their Analytics product. Google Analytics is a free website integration that makes it possible to measure various online activities, like website traffic, referral sources, and goal completions. Understanding how to read and manipulate this data is a sought-after skill in today’s current digital marketing landscape. Like with Google Adwords, you’ll need a Google Partners account (free), a significant amount of time to go through course material, and great attention to detail. 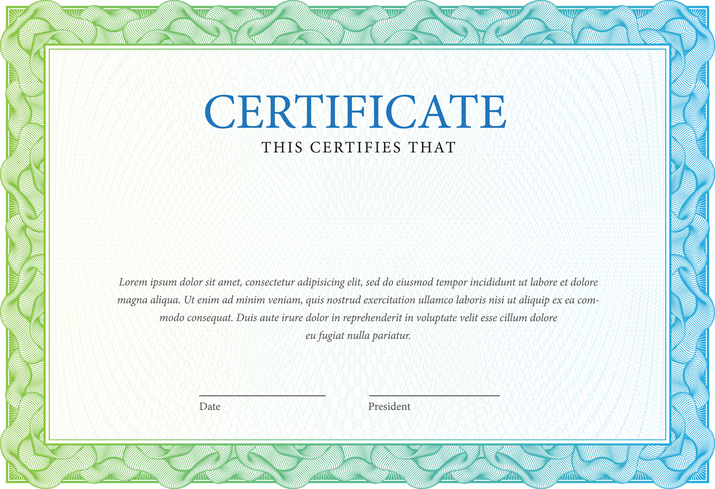 Upon completion, you’ll receive a printable certificate to show off your hard work. Hubspot is another digital marketing leader that administers several related certifications, the most popular (and respected) being their Inbound Marketing certification. Both the course materials and exam are offered for free, and the subject matter focuses on inbound marketing best practices. Though much of what’s covered can be tied back to Hubspot’s own inbound marketing platform, the certification process helps a marketer prove his or her subject matter knowledge independent of the platform. Whether you’re an expert or novice on the subject matter, it’s worth the refresher. Once you’ve completed the certification, look to their other certifications, which include subjects like e-mail marketing and inbound sales. Hootsuite, a popular social media scheduling platform, offers a number of social media certifications that range from pricing that remains free with an active Hootsuite Pro account to certifying your understanding of their platform, to $199 for their Social Marketing certification, to up to $2,200 for their Advanced Social Media Strategy certificate. As a thought leader itself in social media, any of Hootsuite’s certifications would be a smart investment in time and money for someone looking to develop his or her skills in the field. Are you ready to up your marketing game?